There is a group of very happy people in Iceland at the moment, and some in the UK and the US that we wished could just pop over and celebrate with us. 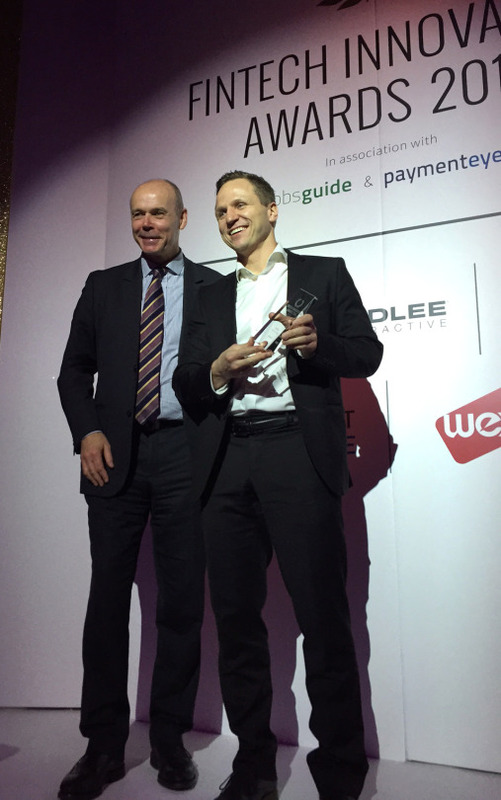 Earlier tonight, Handpoint was awarded the Fintech Innovation Awards 2015 in the Mobile Point of sale category! Thank you! Our CEO, Davíð Guðjónsson, was at the ceremony and accepted the award on behalf of the whole Handpoint team from the hands of sir Clive Woodward. This award is a great recognition for all the hard work the team has put into the Handpoint solution, our end-to-end next generation POS payment platform, fully hosted PCI-DSS certified payment gateway and P2PE certified card reader application.